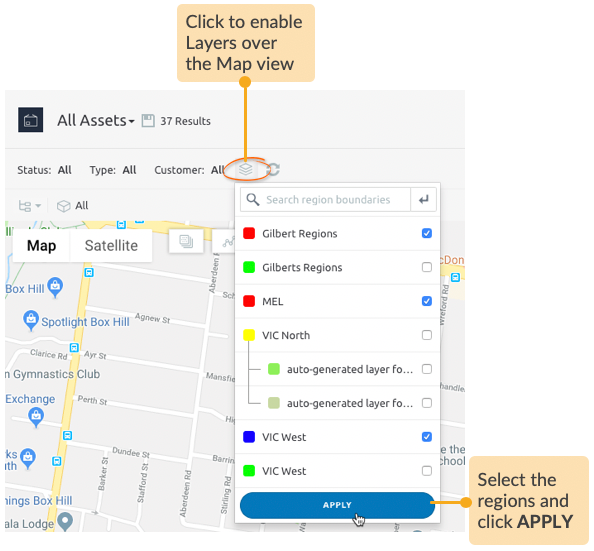 You can mark the boundaries of a region over a map to help get a clear view of the spread of assets you're looking after, and use these regions to link with the team members based on the regions of their preference. The linking of the region and the technicians greatly improves job assignments. STEP 2 Open the Regions Manager. 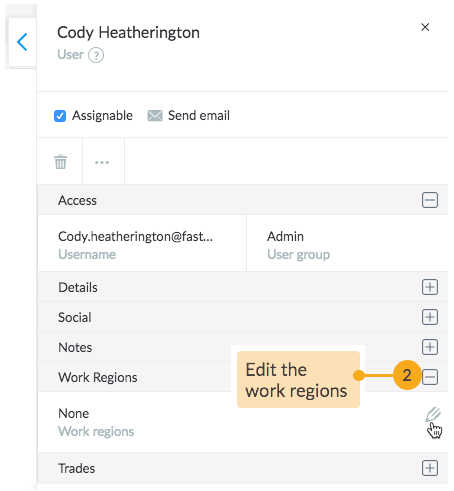 STEP 3 Open the creation wizard to add a region and specify its secondary/sub-category regions to precisely distinguish the working preferences of your technicians. The next step is to define the boundaries for the area the region covers. 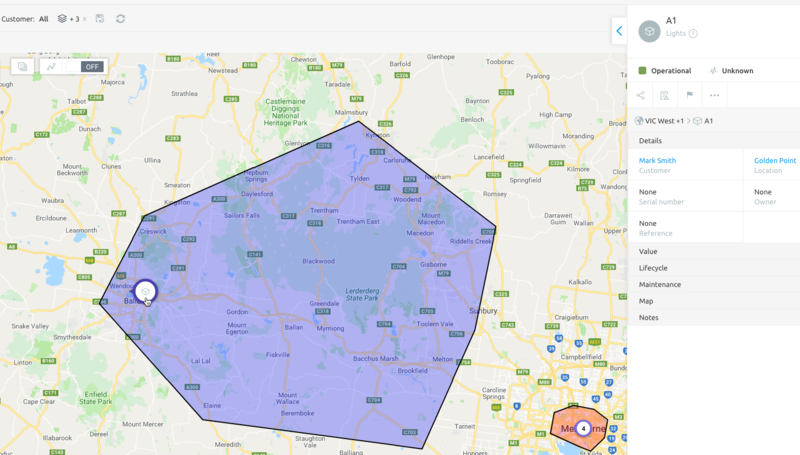 STEP 1 In a new browser tab, open geojson.io and use the Draw a polygon tool to mark out the area that best represents the region you've just created. STEP 3 Switch back to the Regions area in Loc8 and select Add Boundary on the region. 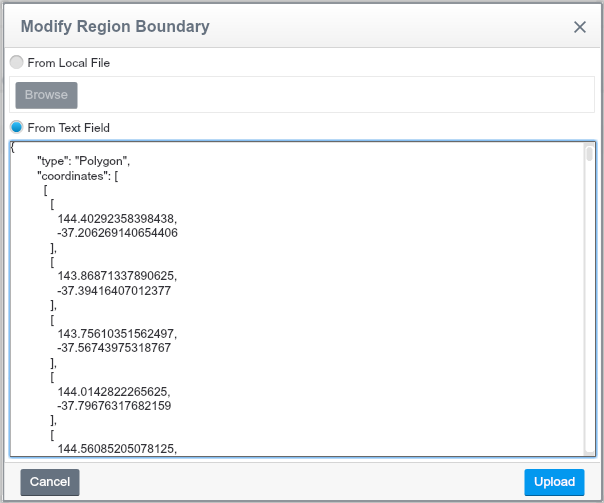 In the Modify Region Boundary dialog, select From Text Field option and paste the copied geo boundary. Upon upload, your boundary will be added. 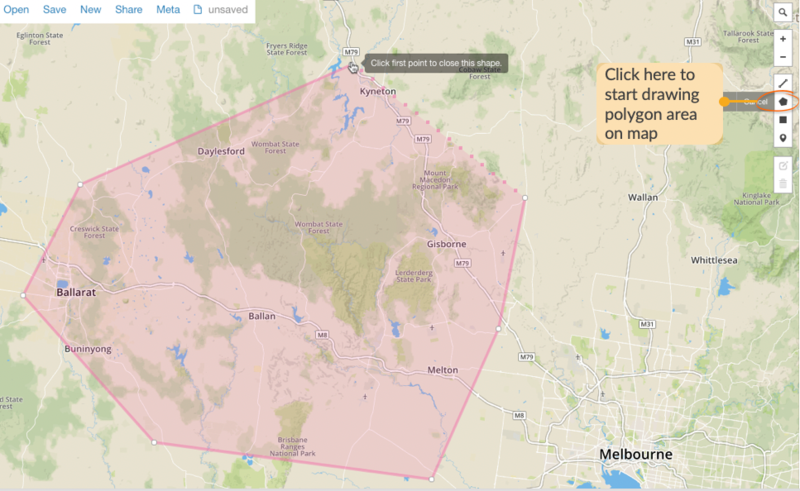 To update your boundary in the future, click Replace Boundary and paste the geo boundary. Your boundary has been added. 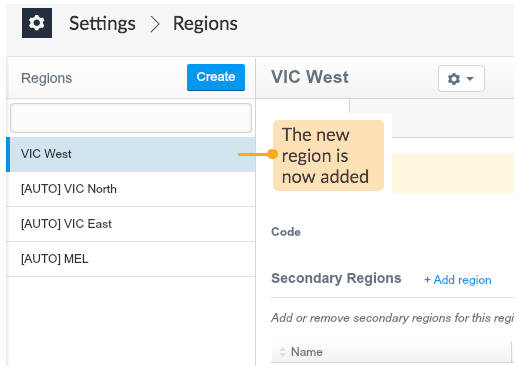 To update your boundary in the future, click Replace Boundary and paste the new geo boundary. 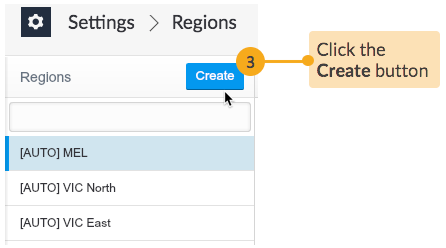 Once you have created regions, you can view the location of assets and sites within the defined boundaries. 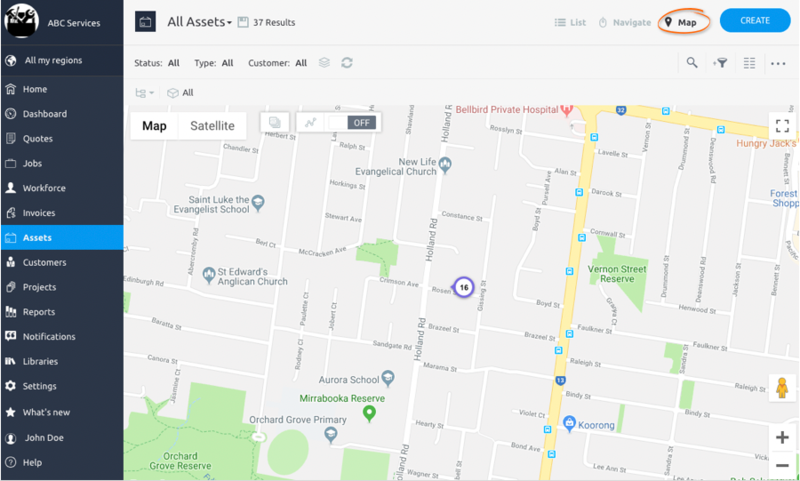 STEP 1 Go to the Assets tab and select the Map view. STEP 2 Enable the Layers to view the region boundaries. 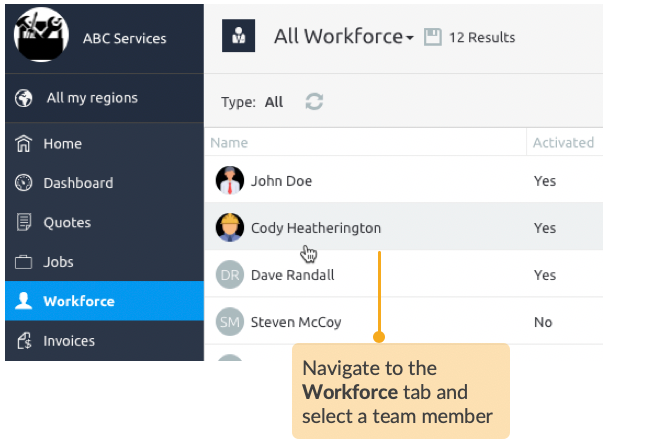 STEP 1 After you have added regions, go to the Workforce tab and select the team member. STEP 2 In the Work Regions field, select from the list of regions as were recorded in Settings > Regions tab. 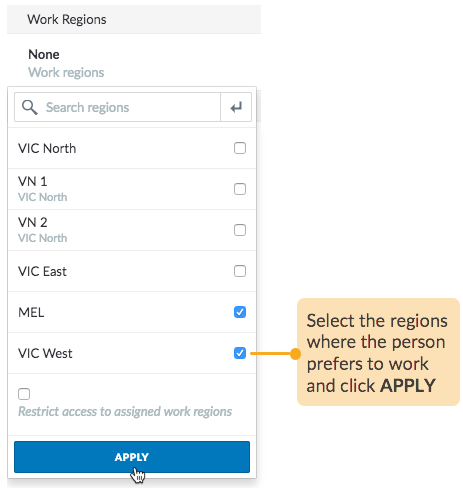 You may also select the Restrict access to assigned work regions option to further enforce this team member to view only jobs and assets that are strictly within the selected regions. The team member is now tagged with the preferred regions. 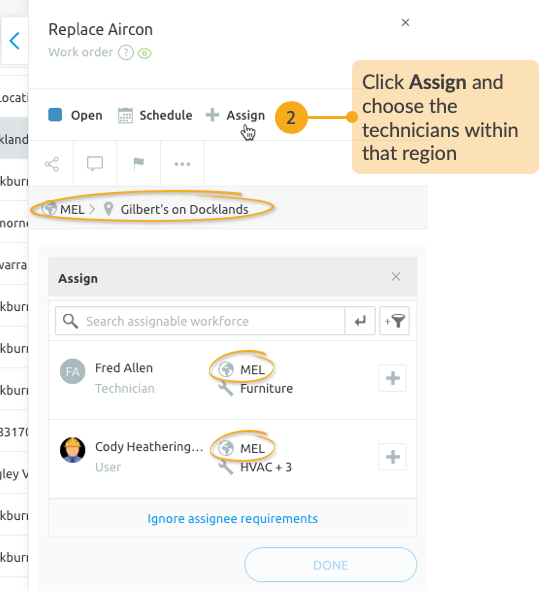 STEP 1 After you have added regions and tagged them to your team, select a job to assign to your workforce. STEP 2 Select from the list of technicians, check the regions specified under them and assign accordingly. In the example above, the two members of the workforce operate within the same region where the job is. 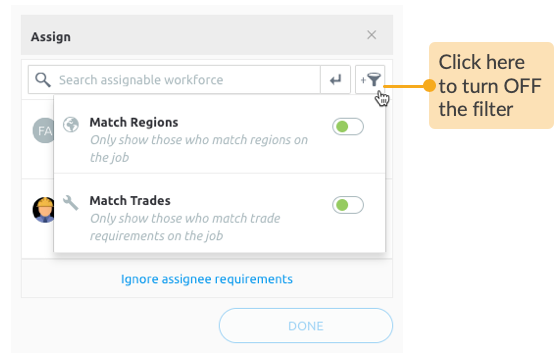 At any time, you can choose to see the full list of all the members of your workforce irrespective of the region restrictions. 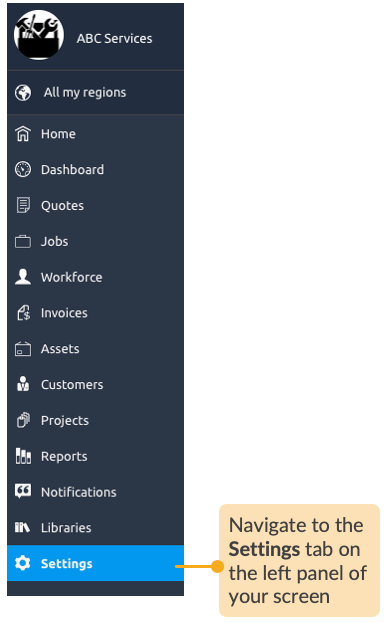 Just click Ignore assignee requirements and DONE. If you want to go back to seeing the filtered suggestions, turn OFF the Match Regions filter. You can also assign technicians based on their trade skills. To know more, read Configure Trades and Apply to Jobs.